Not too many people ever gathered around the Audi TTRS’s engine bay and pondered why it didn’t have more power. 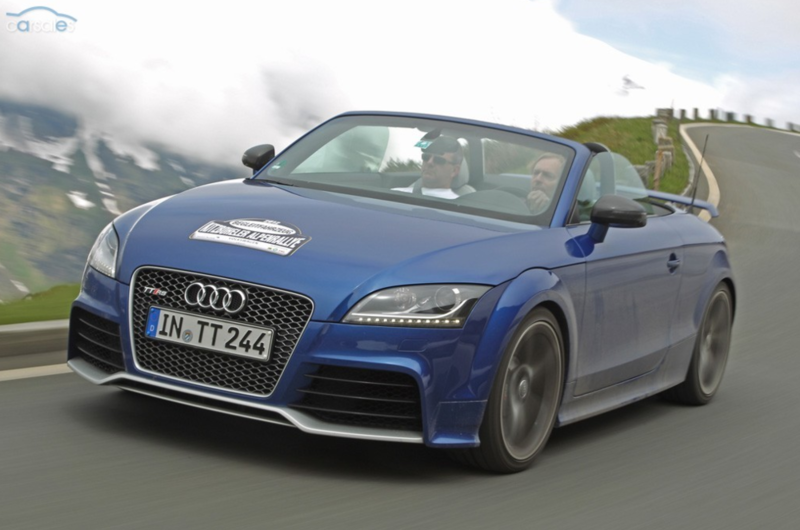 But that observation reckons without Audi’s desperate current need to stop the TT from Relevance Deprivation Syndrome. So it now has another 15kW of power to lift it to 265kW, another 15Nm to jump to a V8-esque 465Nm and it’s an altogether quicker machine than it was. In fact, the roadster version’s 4.2-second blast to 100km/h is firmly trending towards the supercar range, and the coupe is a tenth of a second quicker. There are a few detailed changes to the front and rear styling of the TTRS Plus, though you’d need to look hard to spot them, and a bit more grip from a set of bigger boots, too. But is it coming to Australia? Audi can’t say yet. It would seem to be a lot of hard work for not very many sales. This car was always coming -- from the second Audi put a pencil to the new A6 four years ago. Even though the A6’s V8 engine came out last year in the S8 (and the Bentley Continental GT), the A6’s engine bay was always meant to accommodate it. Wait until the A6 is nicely settled in, then spring the faster, stronger S6 on the waiting world to satisfy the people who don’t think the standard fare is quick enough. The only trouble is the standard fare is already plenty quick enough, especially (oddly) in diesel form. And it's cheaper, too. One other minor issue is that too many people expect the S6 to be an M5/CLS63 AMG rival. It isn’t -- that job will wait for the RS6, with another 100hp. Alas nobody quite knows when that will be.